We love automated Forex trading. But, as a professional currency trader I believe that it is important to outline a few truths about them that I feel are sorely lacking on the internet these days. As you are here today, you will no doubt have come across hundreds if not thousands of other web sites or blog sites, which promote Forex robots or automated trading systems. And there is so much hype associated with some of these Forex systems these days that you could almost choke on it. Most of these web sites are amateur sites that seem to focus on a just few automated systems like FAP Turbo and Forex MegaDroid; these tools will tell you why these automated trading systems are not scams; and only go on to highlight the good points without drawing attention to some of the less positive issues about automated Forex trading systems in general. We also find that the official web pages of most new automated Forex systems show unrealistically high financial returns and claim or insinuate that all you have to do to make similar profits is plug in the expert advisor into your MetaTrader platform and then let the cash roll in. And we feel it is not only dangerous to make or insinuate these claims, however also morally and factually wrong. Automated Forex Trading – What is reality? The reality is that you will not make a fortune overnight trading Forex, whether from using a Forex trading robot or automated scheme, or even from using a manual trading system. However, If you are using a good automated Forex trading system you can expect to make between 5-20% return on capital per month, even don’t expect every month to be a winner. This is the reality of trading Forex in the real market. Additionally, it should also be pointed out that many of the automated forex trading systems currently available on the market actually result in traders losing a great deal of money. The second reality is that those one-page sales-letter-type web sites that show or insinuate $3,000, $5,000 or $10,000 in regular profits from a single Forex trade fail to mention that you need substantial investment capital in the first place to achieve these returns. The truth is that, to make $5,000 on a single trade you would need to risk several thousand dollars on that trade (you could also lose), and even then this should represent no more than 1-2% of your capital base. In fact, the reality is that these large trade profits are only going to be achieved from trading with a capital base of tens of thousands of dollars. Again, this is far beyond what the average Forex trader can expect to make using an automated trading system. Fortunately, it’s not all bad news about automated trading. Automated trading system has many positive sides and some of the positive points about them are as follows. Automated Forex trading systems offer people an excellent way to start making money from market, especially those who do not have the knowledge or time to spend on learning the intricacies of Forex trading. It is for those people who have busy full time jobs and are looking for a way to make additional income. The Forex market is a 24/5 business. So those traders who like to trade using a manual trading system can’t trade all day. Automated systems allow a trader to trade 24 hours a day of the week. 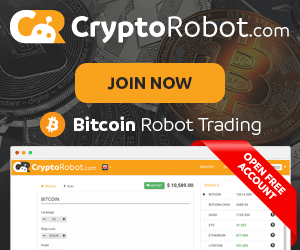 In fact, a number of good Forex trades therefore can be captured using a robot whilst a trader is sleeping or doing something else and they also allow for multiple currency pairs to be traded in various time frames all at the same time. Automated Forex systems remove human emotion from the trading equation. In fact, one of the biggest factors causing traders to lose money from manually trading Forex is their emotions, triggering them to do things they should not do. Forex robots therefore stick to the rules of a trading system unlike most Forex traders. An automated Forex trading system can be an excellent complement to a manual trading system. Therefore, when a trader is making losses with a manual trading system of Forex, an automated Forex trading system could help offset those losses against trading gains, primarily if they are trading on different currency pairs. Automated forex trading systems can be a great way for someone to indulge in the Forex market for the first time and/or to achieve a second stream of income. Yet, trading with automated systems is not a quick win game, it is not easy money. Also, it is not a sure thing and it is not a one way bet. Many robot developers and their marketing people want you to think otherwise. The promoters of automated Forex systems fail to mention that to make a lot of money trading Forex you are going to need a lot of money to invest in the first place. Remember, Forex is a difficult profession and it takes skill, sound capital and time and even then success is not guaranteed all time. So, be careful! Don’t be gullible and don’t believe everything you read. Take your time choosing your automated trading system and choose your system wisely.